As a mom of four kids and an online influencer, Internet safety is at the front of my mind. 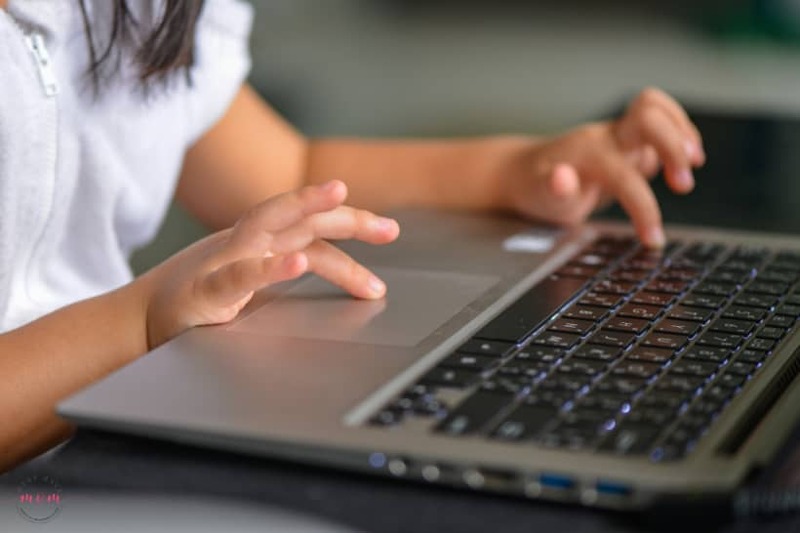 If you are worried about how to keep your kids safe online, you’re not alone. Join us today for Safer Internet Day where I’ll share my top tips to keep your kids safe online (and yourself!) so they don’t fall victim to an online predator or other trappings of the Internet. Knowledge is power and the more you have, the less scary it is! *I have partnered with Forward Influence to spread the message for the Google #SaferInternetDay #BeInternetAwesome because I believe in their message! This is a sponsored post and reflects my own opinions and information provided by Safer Internet Day. If you haven’t heard of Safer Internet Day before, it is today (February 5th) and is a call to action for all stakeholders to join together and play their part in creating a better internet for everyone, and especially for younger users. 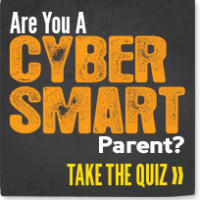 Navigating the Internet safely starts at home with parents teaching their kids what they need to know in order to be safe online and not fall victim to a scam. Here are the topics you should cover with your kids from the Family Guide. Adjust them according to age and make them easy to understand for your child’s age level. Use these 5 tips to be Internet smart. Relay them to your kids in relatable situations. For example, cyberbullying is a huge problem among our youth. Teach tip #1 – Be a positive presence online just like in real life – In a real and relatable way. Remind your kids that hiding behind a keyboard can make it easy to say something that you wouldn’t say to someone’s face. Teach them to check themselves before posting anything by asking themselves if they would say that to the person’s face if they were in the room or if they would show their whole school the photo they plan on posting. If the answer is no then they shouldn’t share that. Be a positive presence online just like IRL (in real life). Remember, once something by or about you is online like a photo, comment, or message, it could stay online forever. Think before you post. It’s important to know when to post nothing at all – not to react to somebody’s post, photo, or comment or not to share something that isn’t true. Protect your secrets. Do not share your address, email, phone number, passwords, usernames or school documents with strangers. Donʼt assume that people online will see you the way you think theyʼll see you. Different people can see the same information and draw different conclusions from it. It’s always important to respect other people’s privacy choices, even if they aren’t the choices you’d make yourself. Different situations call for different responses online and offline. Kids can really get into trouble nowadays with the law when making stupid choices online. When we were kids stupid choices generally weren’t broadcasted across the interwebs (because they didn’t exist then! ), but now one dumb choice can lead to law enforcement stepping in or worse. Kids need to understand how easily it can be to get into trouble online and what they need to do to prevent that from happening. Double check a site for credibility. Before you click on a link or enter your password on a site you haven’t been to before, check that the siteʼs URL matches the product’s or company’s name and information youʼre looking for. Be alert for small variations from the usual spelling. Use secure websites. Make sure a website’s URL starts with https:// with a little green padlock to the left of it. You can see this on our website if you look at the browser now and reference my picture above to see where I’m talking about. Don’t fall for scams. If the email or site offers something that sounds too good to be true, like a chance to make a lot of money, it’s almost always too good to be true. Don’t fall for the fake message. If someone is asking you to wire money to them then chances are it is a SCAM! Do not send the money. If anyone asks you for sensitive information (credit card number, social security number, address, etc) then do not give it out. Your credit card company will not email or call you and ask for your credit card number or CCV number. Same goes with the IRS and other government agencies that people like to impersonate. Likewise, if you see a pop up on a site that says “It’s your lucky day! You’ve been selected as the winner of a million dollars! do not click on it, just X out of the page. It can happen to anyone. If you fall for a scam online, tell your parent, teacher, or other trusted adult right away and change your passwords to your accounts immediately. Attention! Remember that website or ad canʼt tell if thereʼs anything wrong with your device! There are scams that may try to trick you into downloading malware or unwanted software by telling you that thereʼs something wrong with your device. Create a strong password. Choose at least 8 characters and use combinations of letters (uppercase and lowercase), numbers, and symbols. Switch it up. Use a different password for each of your important accounts. Get creative. Donʼt use a password thatʼs easy to guess, like your nickname, just the name of your school, favorite basketball team, a string of numbers (like 123456), etc. And definitely, don’t use the word “password”! Avoid getting personal. Donʼt use personal information (name, address, email, phone number, Social Security number, motherʼs maiden name, birth dates, etc. ), or common words in your password. Don’t hesitate to change your password. Immediately change your password if you know or believe it may be known by someone other than a trusted adult. Follow the golden rule! Treat others how you’d like to be treated, both online and IRL (in real life). Be an Upstander! An Upstander fights bad behavior and stands up for kindness and positivity. Example: Report the harassment. Tell someone who can help, like a parent, teacher, or school counselor. Make good decisions when choosing what to say and how to deliver it. Example: Don’t type something online if you wouldn’t say it in real life. Found something negative? Say something! If you come across something that makes you feel uncomfortable or worse, report it – be brave and talk to someone you trust who can help, including a teacher, the principal, or a parent. Talk it out. Asking for help when you’re not sure what to do is a brave thing to do. If it’s to help you or someone heal something hurtful or stop harm from happening, it’s both smart and courageous. Report and/or block inappropriate content. Reporting can help the people involved, their community, and the platforms themselves if we use the tools to block and/or report on a site or app. Get proof. Before blocking or reporting inappropriate content, it’s always wise to take a screenshot so that you have a record of the situation. Don’t be afraid! If you receive a creepy message or comment from a stranger, show a trusted adult, block and report them. Now that you’ve got all the tips to be Internet awesome, it’s time to put those skills to the test! Head to g.co/Interland and play the super fun, interactive game to see how knowledgable you are about the Internet and if you can make the smart choices to stay safe online! Encourage your child’s teacher to bring awareness to the classroom as well by sharing Be Internet Awesome with their teachers. Together we can all make the Internet a safer place for our kids! 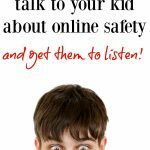 How to Talk to Your Child About Online Safety and ACTUALLY Get Them to Listen! 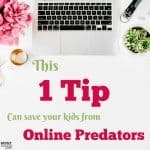 This 1 Tip Can Save Your Kids From Online Predators! A MUST READ! 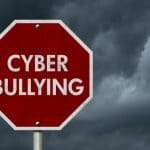 My kid is cyberbullied, what should I do? « Best Natural Weight Management Supplement?